Dental Phone Excellence is dedicated to helping your practice run smoothly while communicating with patients in an efficient and effective manner. 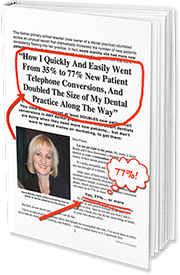 Jayne has educated thousands of people on how to speak to dental patients on the phone. Here are just a few of the ways she can assist your practice.